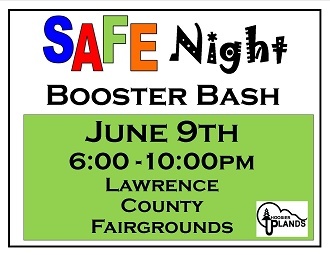 (BEDFORD) - Lawrence County Safe Night will be held on Saturday, June 9th from 6 p.m. and 10 p.m. at the Lawrence County Fairgrounds. They have added new kids inflatables and a teen center to the list of free activities. According to Safe Night Coordinator Emily Webb, the Teen Center will have life size Jenga and inflatables targeting older kids and adults in addition to corn hole boards for teens in middle school and up. Also new to the event is the Boost Bash. Booster Bash to help those who are in need of a booster seat for their child. Hoosier Uplands has 6 Car Seat Technicians that will be educating, helping with installations, and providing materials for those who are in need. To receive a booster seat, child must be present and meet the weight and height requirement of the booster seat. Safe Night is free to the public and is hosted by Hoosier Uplands. As always, Safe Night will have activities, food, information and entertainment for the entire family. It is all free. There will be fireworks, stage performances, balloon animals, a photo booth, carnival games, Indiana S.A.D.D. Seat belt convincer, music, fire trucks, ambulances and tie-dye t-shirts. The evening promotes the prevention of alcohol, tobacco & drugs and supports healthy lifestyles and non-violence among youth in the community. Safe Night encourages the community to participate through hosting booths on site and attending this free event. 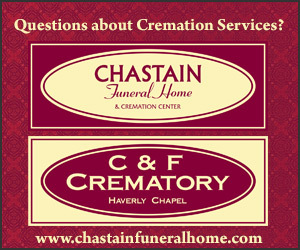 Get your business or organization involved. Each booth is free and must have a prevention theme or message encouraging youth and families to be healthy and safe. 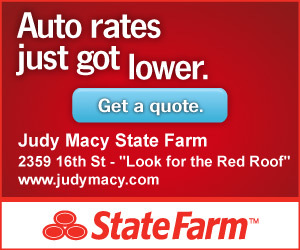 Click here to download the booth registration form. There will be no products and services sold. For more information, go to the event website at https://safenight.weebly.com/ or contact Emily Webb by phone at (812) 849-4447 or by email at ewebb@hoosieruplands.org.